It's kinda funny until you quickly realize it's BS. 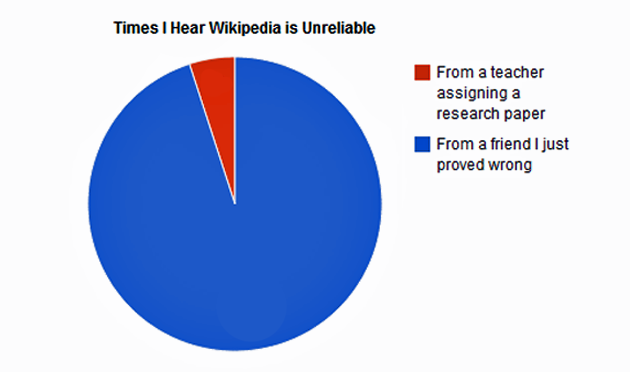 Wiki isn't a scholarly source at all. But it still is decently reliable. I'm pretty sure if it sounds legit on wikipedia, it is legit. And if it sounds iffy and un cited, then there is a good chance it's wrong (George Washington's favorite sport was Women's Basketball- or something like that) Either way, you would still never ever source it in your work.